Take the Lead Horsemanship’s students compete throughout Central Ohio at 4-H and open show circuits. With over 15 years of show experience, 3 years judging, 6 years advising a 4-H club, and attendance at a variety of clinics, we compete in several all-around classes in both western and english events. Whether you are new to showing or a seasoned rider, Take the Lead helps you extend your skills, learn to stay calm, and have the best ride possible during your show. We focus on all the small details needed to build confidence and win that coveted ribbon. Hands-on and virtual coaching is available during shows or we are available to show your horse for you. 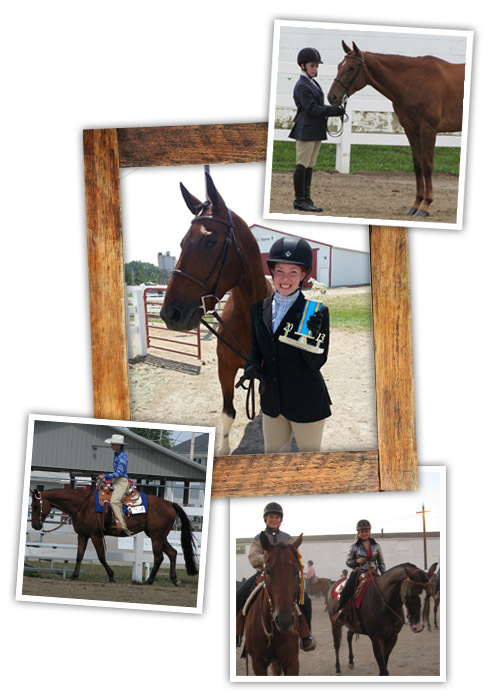 We’ve coached several State Fair winners, placers, and qualifiers, along with County fair champions and reserve champions. New to 2018, Virtual Coaching! Please visit our Virtual Lesson page for more info. Show day and non-show day coaching fees vary. Call for details. Owner is responsible for any and all show fees; office fees, entry fees, stalls, etc.